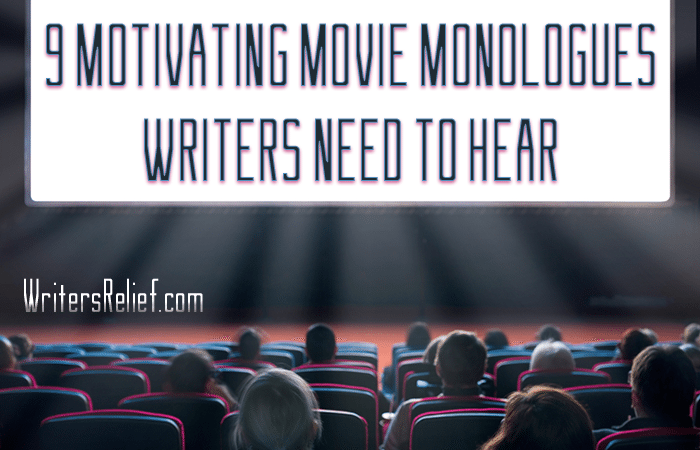 9 Motivating Movie Monologues Writers Need To Hear - Writer's Relief, Inc.
Hey, writers—need a pep talk to get you through another round of rewrites and rejections? To help you power through the hard times and work toward your ultimate goal (getting published! ), check out these inspirational monologues from iconic movies. QUESTION: Have any other movie monologues inspired you as a writer?